Dirt and grime – they work hard to make their way into your furniture. Our furniture almost becomes a part of the family, make sure you take care of it. We’re here to fight against the stains alongside you. Precision Chem-Dry‘s highly-trained technicians specialize in renewing upholstery to its cleanest clean and brightest condition. 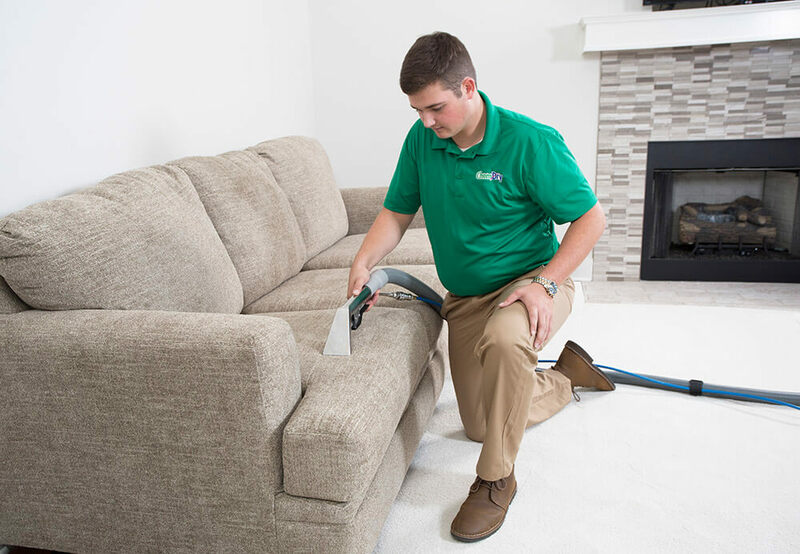 Our upholstery cleaning services in Salt Lake City, Ogden, Provo, Herriman and Murray are strong enough to clean the deepest stains, yet gentle enough not to damage furniture. Our experienced and friendly technicians in Salt Lake City and the surrounding areas will make sure you are completely satisfied with how your furniture looks once we are done. Watch this video to see for yourself! Chem-Dry’s secret to healthy and effective upholstery cleaning lies in the power of carbonation. Our carbonated cleaning solution, The Natural®, uses millions of tiny bubbles. First, these bubbles release stains from the upholstery fibers. Then, using a hot water extraction process, we drive dirt and grime to the surface. Our fabric-cleaning equipment gently agitates the fabric and pulls the stains away. Our non-toxic cleaning system leaves your furniture as fresh as the day it was purchased. Precision Chem-Dry works to help it stay that way longer through our innovative upholstery cleaning process. We promise to treat your furniture as if it was our very own. That’s what’s set us apart as the premiere furniture and upholstery cleaning service provider in Salt Lake, Ogden, Murray, and Herriman. Dry in only a few short hours. Get back to regular life!